Weddings are such a joyous occasion, a time we always recall with fondness. We want everything to be absolutely perfect for that big day whether it is for ourselves, family members or good friends. Main Attractions has been staging weddings since 1962 and even if we do say so ourselves, we have put on some sensational ones to say the least. We are willing to provide you with as much or as little assistance as you need. If you are going to use the services of an event planner or decorator, we will be more than glad to work with them. Everyone just wants this to be an event of a lifetime for you and the happy couple. No event is ever too big or too small for Main Attractions to provide exceptional service for. Of course there is more involved than just tent rentals for weddings. There are seating accommodations that must be arranged. Decoration accessories and linens need to be seen to. If there is going to be a live band, what kind of flooring and staging will be required and how much room will be necessary for dancing? Is there a theme involved that needs to coordinated with? Main Attractions has our own graphic arts department and custom sewing room. This means we can customize linens, the tent materials or any banners you may like to have made. Pretty much whatever you can envision, we can make a reality for you. We have an extensive portfolio with samples of previous custom work we have created for other customers and you are welcome to look at it when it is convenient for you to do so. You may even pick up an idea or two. We own a fleet of trucks that are dedicated solely to the transport of event rental equipment. This insures that the equipment remains in a clean condition and arrives safely and in a timely manner. We have loading and unloading our equipment down to a science. Setting up and breaking down the venue is performed as efficiently and quickly as possible. There will be no need to worry with us on the job. Main Attractions has been in this industry for 52 years. In that time we have seen just about everything that can crop up as a difficulty and we have contingency plans in place for just about anything. Extra guests show up? No problem. The weather throws us a curve? Not a problem. An electrical circuit leaves us hanging? That does not pose a problem. It is our business to make certain your event goes off without a hitch. In the span of those 52 years we have been in business, we have also formed some partnerships with various vendors and suppliers in the equipment rental business. We have been fortunate to negotiate some pretty competitive pricing which we are able to pass along to our customers. Along with economical rates, we also have access to all the latest equipment as soon as it is manufactured. Should there be an item we do not have in stock that is needed, we have several resources we can go to for acquiring it. We are based out of New Jersey and have a strong presence in New York, Pennsylvania and Connecticut. We have also set up special events all across this great nation of ours. We have customers that have been with us for over ten years and every year we steadily add more and more to our client listing. We love the business we are in. We have been doing it so long that we are quite good at it and all the employees of Main Attractions take a lot of pride in being able to make special events memorable and just that much more spectacular. You will know immediately once you speak to anyone at Main Attractions that we really are excited and eager to work with you. Our only priority is creating an atmosphere that has everyone involved with the special day enjoy one of the most beautiful and tasteful weddings they have ever had the pleasure of attending. 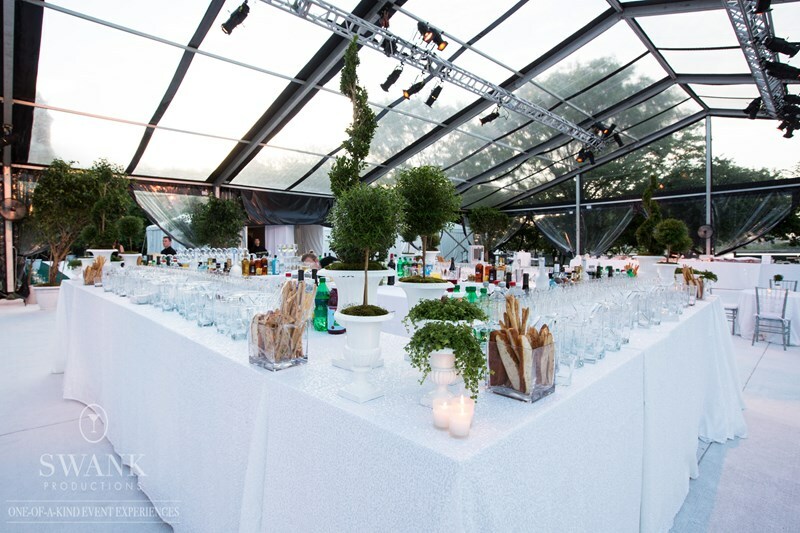 Yes, there are numerous companies you can choose from that provide tent rentals for weddings. However, there are very few that have the experience and resources that we have. From being able to custom print and custom sew just about anything you could possibly want to providing you with the most up-to-date equipment that can be found, we are with you throughout the entire process. Please allow us to join you on this special day and provide all the rental equipment that you will need. We will do our very best to insure you of an ambience that will be talked about and remembered for quite a long time. Do not leave this important occasion to chance. Permit us to share our experience with you for your benefit.